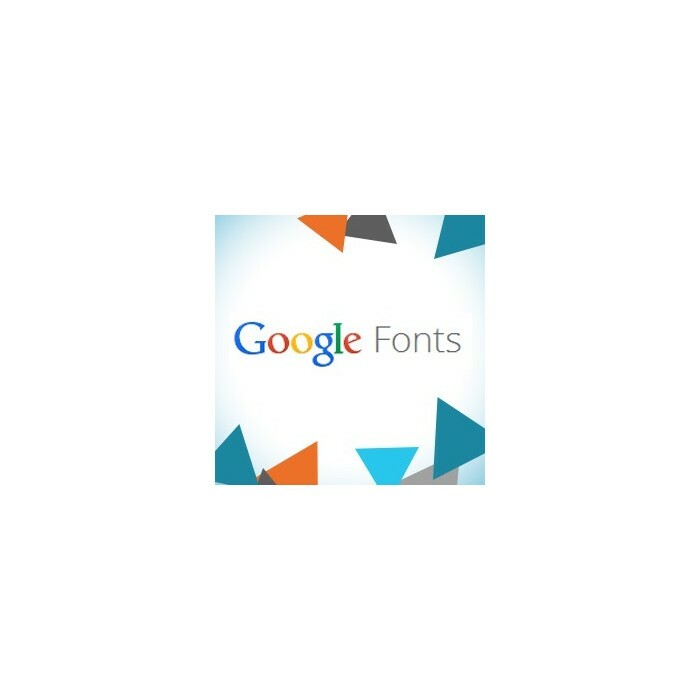 Google Fonts offers more than 600 open source fonts and you can use them to give your store a modern look. This module is fast and easy to install and can be used additionally to any template. 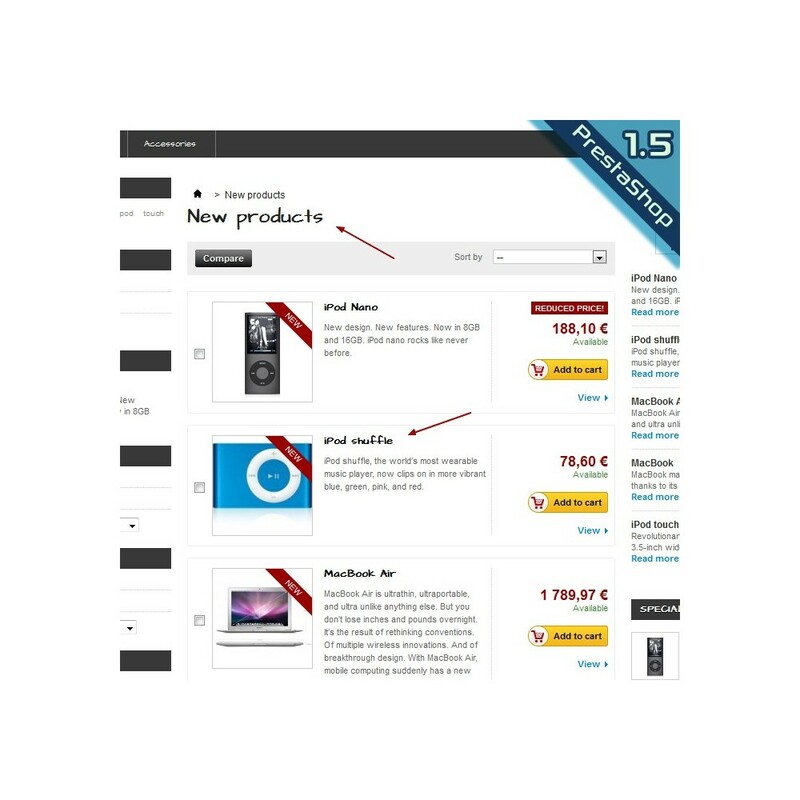 The fonts will make your shop look more professional and give your customers a save feeling when buying your products. 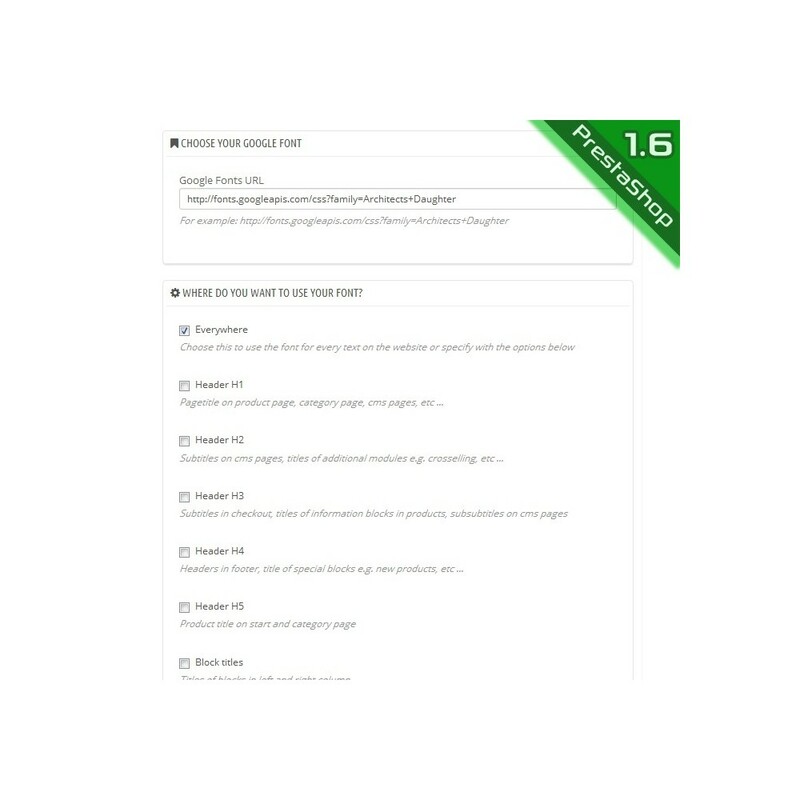 It also won't increase your pages loading time a lot because the fonts are stored on the Google server and don't have to be loaded from your server. You also don't have to worry about the fonts being compatible to all the different webbrowsers and devices like smartphones and tablet because google is doing that for you. Choose one of more than 600 open source fonts from Google Fonts and style your shop. 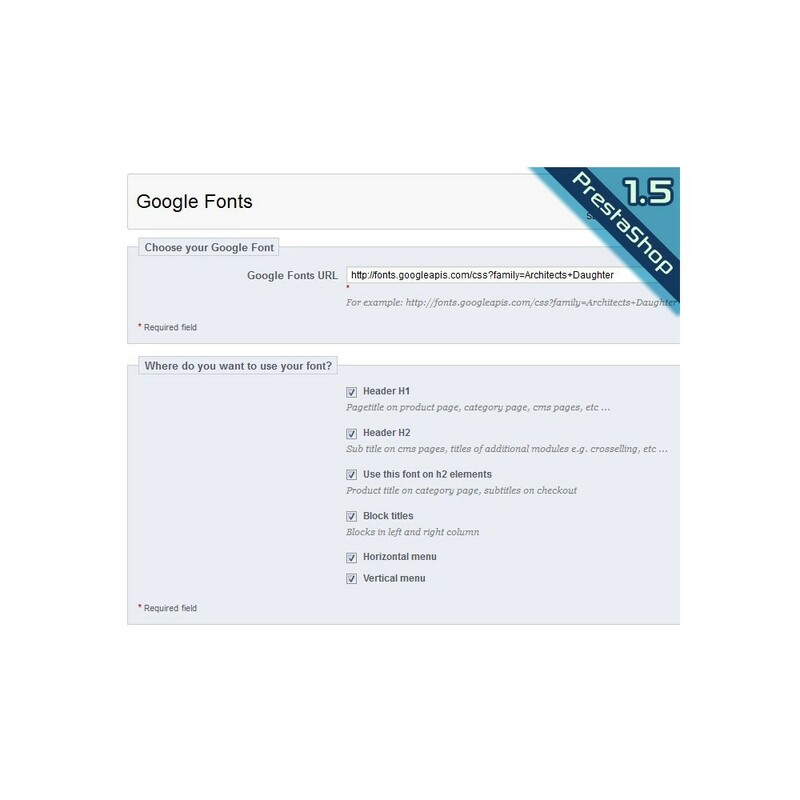 The Google Fonts might then not work in those countries and your titles and texts will be displayed in the regular font. Upload, activate, choose your font and you are ready to go. If you have any problems installing this module or would like to use the fonts for special texts, feel free to contact me.